We believe it is important to understand your individual situation. In today's challenging financial world, it is seldom possible to achieve objectives on your own. As an expert in your specialist area, you need professional, reliable partners. Our Financial Institutions Team supports you in your business activities across the globe. We offer you a broad range of solutions and our support as a specialist partner. Sometimes your needs will be best satisfied through an optimization of existing products, while at other times we will break new ground for you. Whatever your needs: You can count on us. 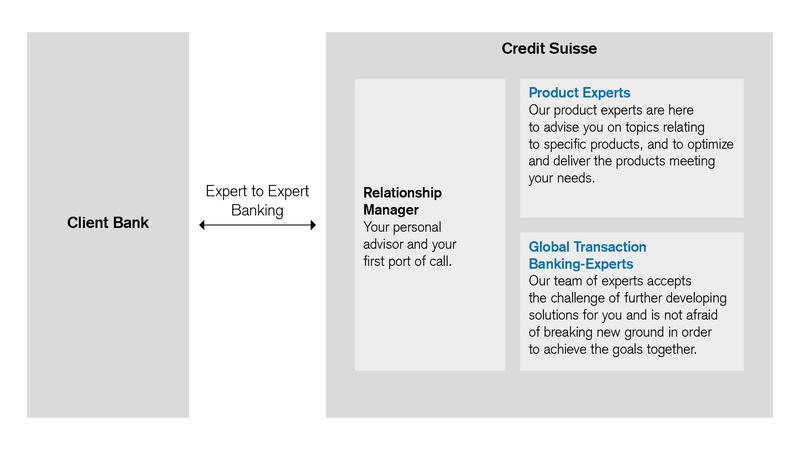 We call this "Expert to Expert Banking".